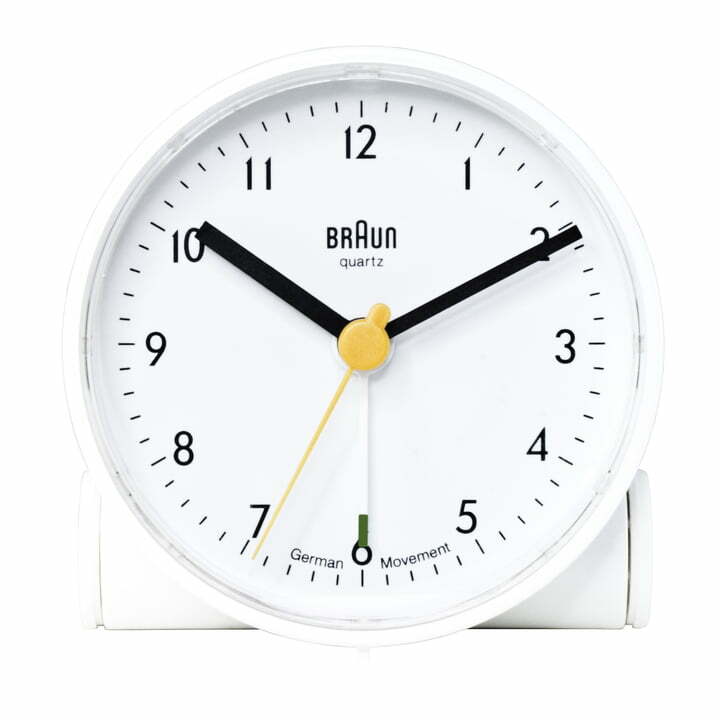 The alarm clock AB5 is a classic of the Braun company. It convinces with a compact, rounded design, a high level of rate accuracy and its simple usability. The large dial is clearly scaled and easy to read. one of the leading German companies in the area of electric devices in the 20th century. The alarm clock designed by Dietrich Lubs features a crescendo alarm: if you do not wake up straight away, it becomes increasingly louder and wakes you reliably, even from the deepest dreams. The Braun AB5 has a stable housing and it has quiet and precise quartz technology.